The biggest, baddest, summit… midway? Flip-flop hikes, while becoming more popular, are still the least accepted direction(s) of a thru-hike. This isn’t an actual fact, just what I personally experienced when I told some people what type of hike I was doing. Despite the Appalachian Trail Conservancy strongly promoting this type of hike to help the crowded trail conditions in the spring, most everyone goes in a single, continuous direction. The most popular is to head north from Georgia. The reason? Katahdin, of course. That battered wooden sign has a mystique, a power no one can deny. Who wouldn’t want to end their thru-hike on that fantastic summit? And why on earth would you want to summit it halfway? I had a few people frown at me when I told them I was flip-flopping. A couple of them said they would only do a thru-hike if they could finish on Katahdin. I’m here to tell you I had that epic summit everyone dreams about. It just happened to be my halfway point. After having our butts kicked in New Hampshire and Southern Maine, we were ready to finish the northern half of our flip-flop hike. With our borrowed daypacks, the climb up the Hunt Spur and the Gateway was actually fun for a change. It was beautiful, sunny day, but clouds kept blowing in over the summit. As we got closer I spotted the sign. It was silhouetted, shrouded in clouds, occasionally revealing itself to us as the clouds blew away. Beckoning us. When we got to the top, I couldn’t stop staring at that iconic sign. I was finally here; I had made it! The paint was faded, the wood aged from the elements. How could a sign be so powerful? It’s just paint, wood, and nails. But I sobbed like a baby and had all the feels. Satisfaction, euphoria, relief that the north was finished. I also felt renewed, and was excited for my southern half. Even though we were exhausted and ready to be done up north, seeing the Katahdin sign was just the reminder I needed. I had finished the hardest part; I could handle anything now. I still had 1,024.2 miles to go but my exhaustion was replaced by my positive determination to finish. It was the perfect, epic summit every aspiring thru-hiker dreams of. Who cares if it was only my halfway summit. I had one guy make a snarky comment about me doing a flip-flop hike and said, “But you’re finishing at Springer,” complete with a pinched face like I just told him I crapped my pants or something. I smiled and told him it didn’t matter where I finished, it would still be special to me. And it was. Was it Katahdin? No. But it was only about a days drive from my house, so my husband was able to hike that final mile with me. And boy, what a great day. It wasn’t raining, the hike up was easy, and I enjoyed talking to my husband, who I hadn’t seen in months. I sobbed at the top of Springer, too, but in my husband’s arms while he told me how proud he was of me and what a beast I was. Katahdin doesn’t have anything on that. I remain satisfied with my decision to do a flip-flop hike. I wanted to do a different hike, to experience being a NOBO and a SOBO. To get ahead of the large crowds and maximize the weather. Katahdin was awesome, but my goal was to be an AT thru-hiker. Where I finished wasn’t as important as finishing was. 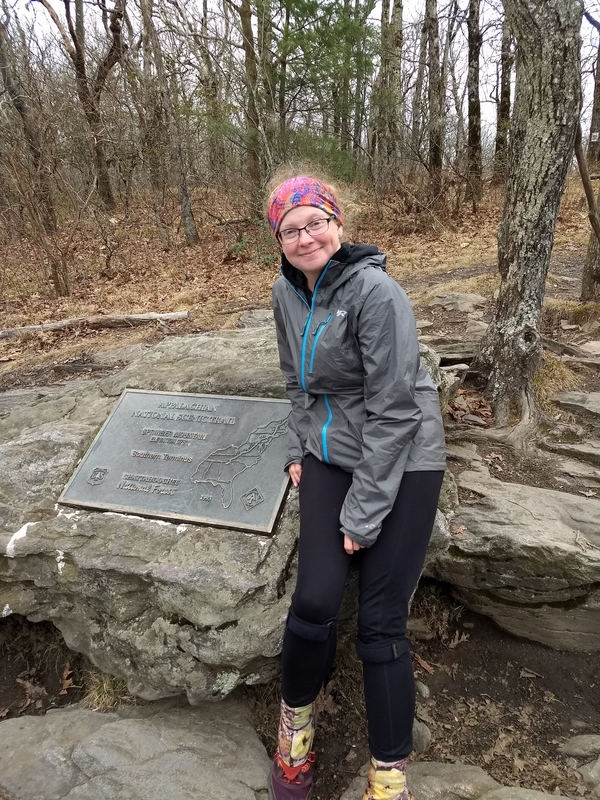 On Dec. 4, 2018, I accomplished my goal of becoming an AT thru-hiker. 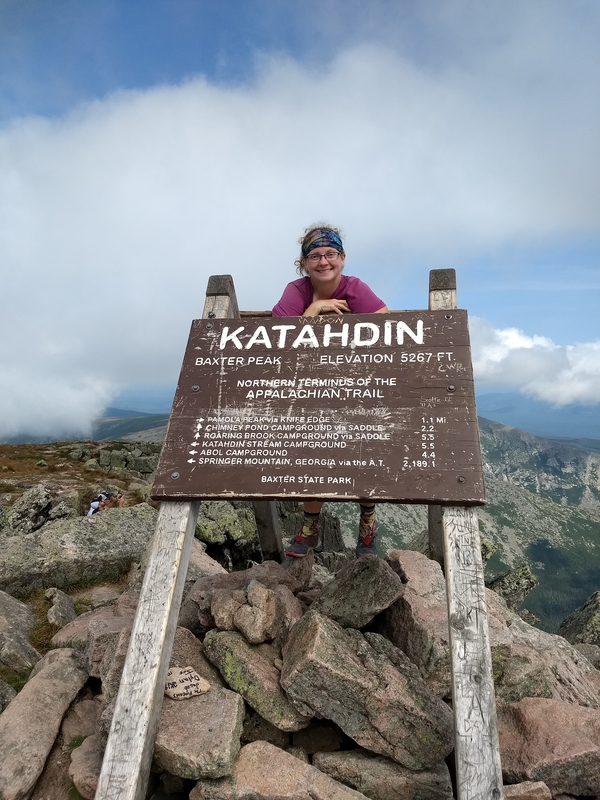 I have been obsessed with hiking the AT for a few years, of summiting the mighty Katahdin. Even back then it mesmerized me, called me. I have no regrets of climbing it halfway through, because it gave me the self-confidence to know I had made the right decision. I could do anything, accomplish anything. I felt that same feeling on Springer, and still feel it to this day. The Katahdin effect. You get it regardless of the type of hike you do. Whether you start there, finish there, or climb it halfway, it remains a special, life-changing mountain. So if you’re contemplating a thru-hike, consider an alternative hike. Make it your own, start and finish where you want. If Katahdin can be the only end destination, then that’s fine, too. But I promise you won’t be disappointed if you choose to do something different. 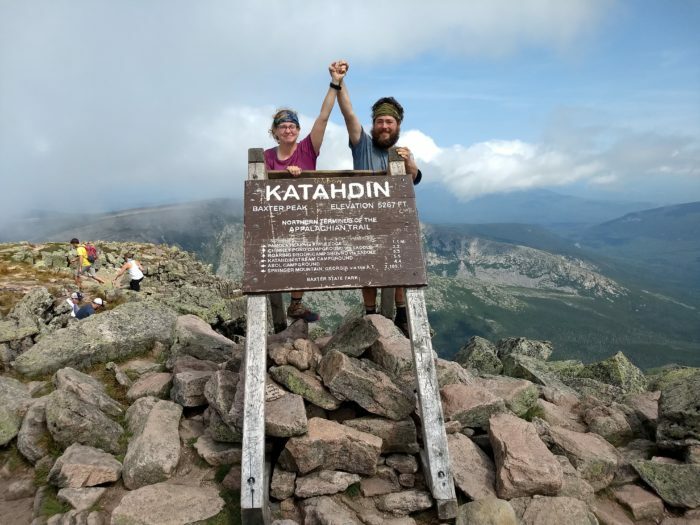 Katahdin is an epic final summit, but it isn’t the only option. Let me know if you have any questions about my experience as a flip-flop thru-hiker. I fully encourage flip-flop and SOBO hikes to help disperse the large number of hikers who attempt a thru-hike every year. I’d also like to do a follow-up gear post and a favorite hostel/hotel post. Then I’ll relinquish my 2018 blogger status and let the class of 2019 take over. I agree that a flip flop is a great way to do the trail. Even with hurricanes and other problems that prevented some of us from finishing the way we planned, the south is more hospitable during the winter. I’m going to try to hike Georgia next week, going to Springer Sunday 1/6/19 to take advantage of a warm spell. For those of us who live in the south, a flip flop offers a sort of second chance! I’m planning a flip flop thruhike in just a couple of months!! Can’t wait to summit Katahdin halfway through, but I’m just as excited to end at Springer as I’ve hiked that area many times when living in Georgia and it is very special to me. I’m so glad you’re doing a flip flop hike! I know you will love doing that kind of hike. Springer was an amazing final summit, I’ll never forget it. Have fun on your hike and happy trails! This was a very difficult weather year for sure. I think usually it’s nicer when Sobos and Flip Floppers finish, but boy was it cold for me! I’m glad you’re getting out there, the weather is very nice right now. Have fun! I was wondering if you knew when Willow finished? I enjoyed meeting you, happy trails! 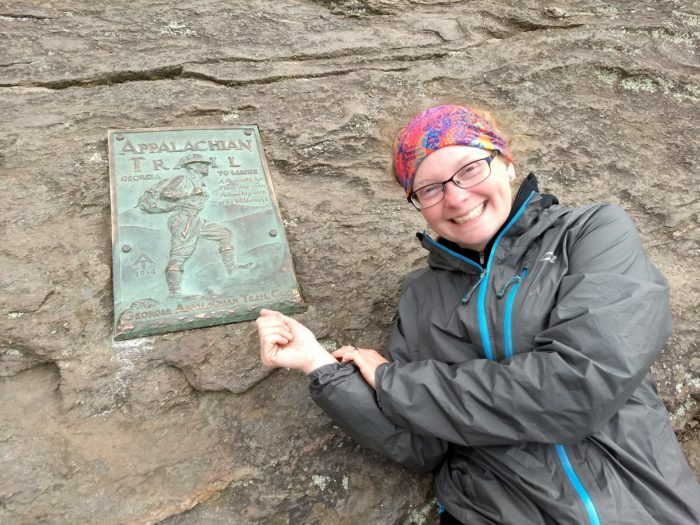 Congrats on completing the your thru hike! I’ve been wondering about you guys….I met you and Shake in southern Maine. I will never forget how you guys picked up my water bottle after I dropped it and assumed it was lost and you carried it until you caught up with me. How are you? How was the rest of your hike? It was really awesome meeting you, I’m glad we (actually Shake) carried the bottle for you and were able to return it. I hope you have a great 2019. Congrats on your thru hike. I have loved reading about your adventures. I have been dreaming of doing a thru hike since I did my first section hike for my 45th birthday in 2017. We had friends surprise us when we came off trail at Harper’s Ferry. It was an amazing experience. I decided then that I wanted to do a flip flop and end in Harper’s Ferry so I could be greeted by my friends again when I finish on the bridge. Thanks for reinforcing that the summits are cool in the middle too! Thank you so much! I’m glad you enjoyed following along. I’m so happy you’ve decided to do a flip flop and are ending in Harper’s! That will be a memorable experience, especially with your friends meeting you there. Harper’s is such a neat town and will be a great ending point. Have fun on your thru hike! I’ve started in March at springer twice. Both times got seriously ill from unhygienic conditions (norovirus et al.) , crowded shelters during rainy periods were a drag. You’ll lose some of the camaraderie but flip flop makes sense in many ways. Though the expense and logistics seem daunting for the unsupported loner. To follow spring is also lost. I would also add the fixation on the terminus sign seems strange. Why don’t more thrus carry their light pack thru katadn’s spectacular knife edge? Seems the logical conclusion.